Microsoft has slashed the prices for two (out of three) Zune HD models. The 16GB Zune HD is now $170 (rather than $200) and the 32GB Zune HD is now $200 (rather than $270). These are the official prices on the Zune Store (via Engadget) but we encourage you to shop around both in-store and online. It's very likely that you'll find further discounts at major retailers. Microsoft has cut prices for these two models before. The last time this happened was in March 2010, when the company announced the 64GB Zune HD for $350. Unfortunately, that price has not changed. 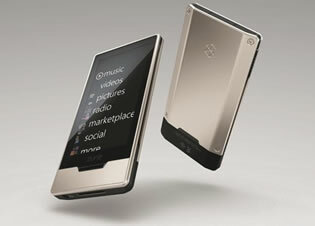 These price cuts will likely lead to further speculation that the software giant is getting ready to kill off the Zune. There has been talk for a while now that the company wants to clear out inventory of the stock it has, and stop producing more units of the various Zune models. Just two months ago, a rumor suggested that Microsoft would kill off the Zune hardware and would instead focus on just the software. Microsoft is already increasingly concentrating on putting Zune software onto smartphones, such as with its Windows Phone operating system. Zune software lets customers buy songs and movies, as well as pay a monthly fee to stream unlimited music (the Zune Pass). Speaking of the Zune Pass, which works on Windows PCs, the Xbox 360, Windows Phone 7 devices, and Zunes, there was a rumor back in May 2010 that Microsoft would lower the subscription price. We'd rather that happened than the hardware price cuts (never say never? ).